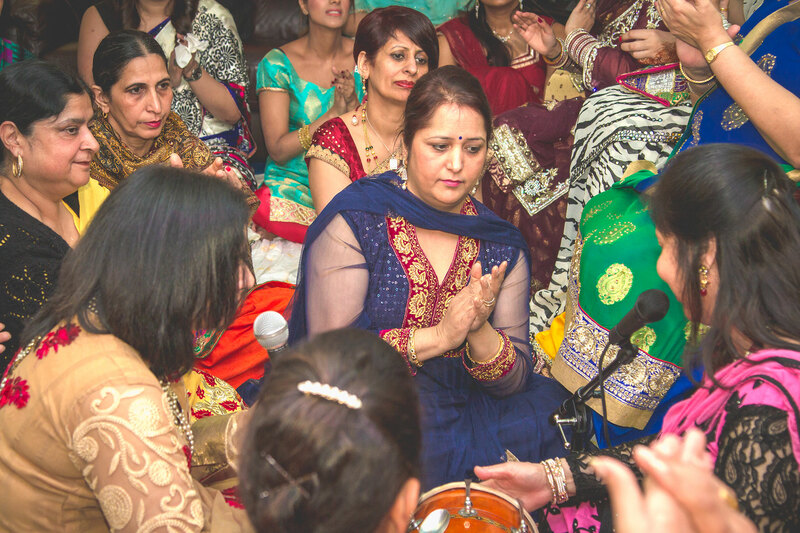 “Sangeet “ is a Sanskrit word which translates to music or sung together, when it is used as a term to describe a celebratory event during an Indian wedding it translates to music night or musical party. The party is a celebration of the union of the couple and the bonding of both families. It’s usually held a day or two before the wedding, either at a venue or at the bride’s (or in this case the grooms) home. It’s a night full of music, dancing, colour, delicious food and celebration. 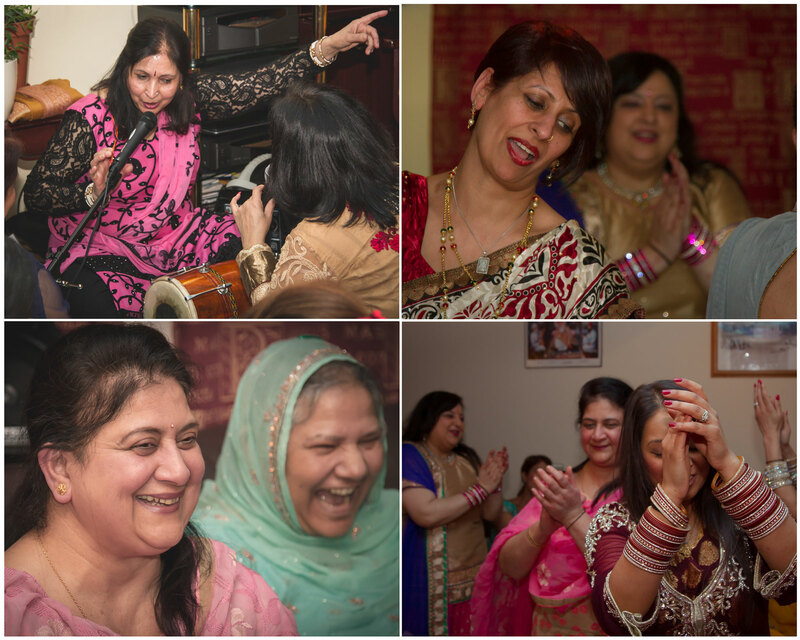 I was hired to shoot the photograph’s at Sandeep’s Ladies Sangeet, held at his Mothers house, part of the celebrations in the days leading up to his wedding and I loved it. I’m a big fan of black and white photography (as you may have noticed if you’ve looked at any of my other stories and galleries) but this was definitely a time for colour, lots of gorgeous vibrant colour to match the vibrancy of the people and the party. Both the bridal and groom’s party will learn songs and dances to perform at the Sangeet. Traditional Indian instruments, like a dholki (a two-sided drum), are often used and although I may not have understood the language of the songs it was clear that there were a few that were a little risqué and maybe a few Indian Mother-in-law jokes included in the lyrics? 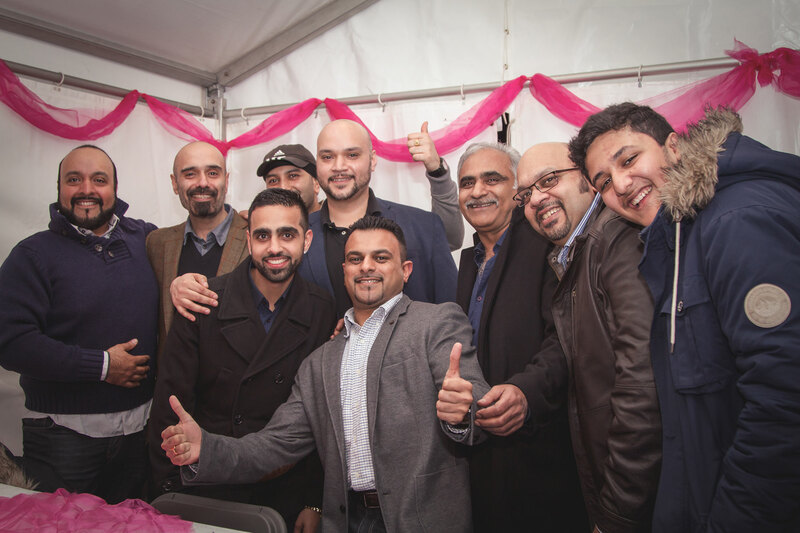 While the ladies sang and danced the men gathered and ate, drank and talked, in preparation for the following day and the next part of the wedding tradition, the Maiya ceremony.